A new era of drug testing for Criminal Justice? Attending the Criminal Justice Management 2017 Conference in Westminster yesterday, it was clear that there was real enthusiasm from representatives from the police, the prison service, the Ministry of Justice, the Crown Prosecution Service and others for initiatives that could help them in optimising their operations. With standing room only for the morning keynote sessions, there was a clear focus on programmes that could help free up resources – whether within prisons, in streamlining court document processes or helping to digitise the police administrative burden. Put together, all these innovations were about simplifying processes, improving quality and freeing up valuable employee time to focus on other core activities. My presentation – detailing how our fingerprint drug test could be used in offender management, within the Coroners’ service and by police – was in step with the overall theme as I outlined how the Criminal Justice community could benefit from our simple, non-invasive technology to collect samples in just five seconds and screen for drug use in under 10 minutes. After a quick explanation of how the fingerprint drug screening test works, and an overview of how it compares with traditional urine, mouth swab and blood sample approaches, it was apparent that many in the audience were imagining how our technology could work in their own organisation. Benefits that resonated particularly in the audience included not having to handle biohazardous urine samples, achieving quicker results through non-invasive, on-site testing, and reducing expensive clinical waste bills. Probation and Rehabilitation – for testing of those on probation to help ensure they don’t go back onto drugs of abuse on their release or to enable early intervention if they start using again. Coroner services – One of our early triallists – Ian Arrow, Her Majesty’s Senior Coroner for Plymouth, Torbay and South Devon, was on hand during the presentation to confirm how coroners could benefit not only from fingerprint drug screening’s cost effectiveness, but also from gaining non-invasive, early intelligence as to whether or not drugs have been a factor in a death. Prisons can use the system not only to support the management of drug free wings but also for screening new arrivals in order to provide them with drug recovery support or medication, if needed. One important statistic that came out of the speeches at CJM17 was that 65% of all new inmates are drug users when they enter prison. 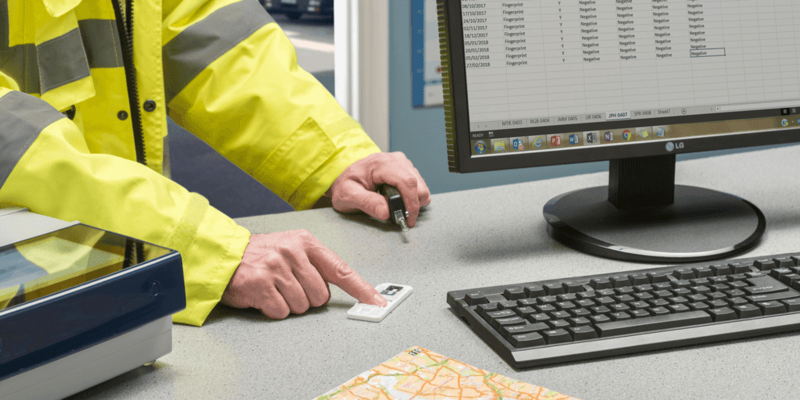 During the Q&A session, one prison governor in the audience commented on just how much employee time – a critical resource within prisons – could be freed up by using fingerprint drug tests rather than traditional urine-based tests. 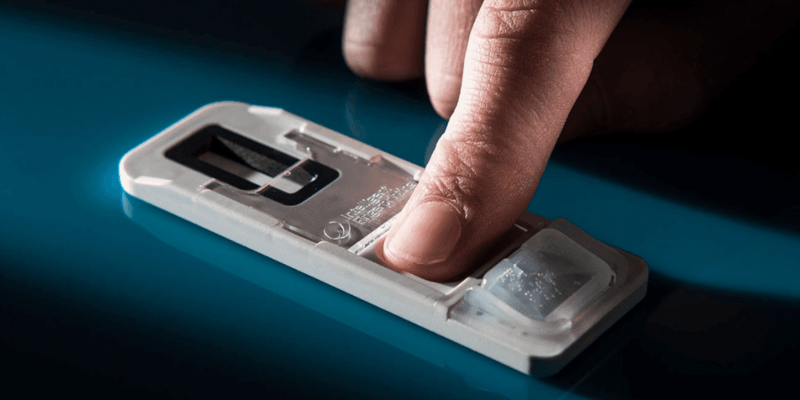 Given the investment that Intelligent Fingerprinting has made over the last decade in bringing our drug screening solution to market, it was reassuring to realise that our innovation is already resonating with the Criminal Justice community. In summary, the event provided a great opportunity to share our new technology with senior personnel from across the criminal justice arena and explain how the new fingerprint drug test could help to simplify drug screening for many services. I came away from CJM17 with not only a strong list of new contacts from organisations who are interested in our drug screening technology, but also with details of several criminal justice specialists with ideas about how fingerprint drug tests could support them in their own areas.